If you follow me on social media you know that I'm all about Living Life In Color. So any time that I can combine my passion for mixed media with my love of planning, I'm a happy girl. Today I used the new Essential Planner Pack, some Gelatos, the Modern Lettering Set, and a Stencil to add some color into travelers notebook. Let me start by saying that I am no lettering artist. Sometimes I let that insecurity get the best of me and I shy away from lettering things. Well guess what... Not Today! Today I decided that I wasn't going to let that stop. And I gotta tell you, after adding some color and design elements to my page, my lettering isn't bothering me. Sometimes you just have to get out of your own way and Have Fun! I started by adding some color with Gelatos through a hexangonal stencil with a wedge sponge. I defined the shapes by tracing with one of the pens from the Modern Lettering Kit. As you can see, I was intentionally un-precise about it. Next came the lettering. I combined a Pitt Artist Pen S with the assortment of pens in the Lettering kit and gave my project a title. I used the stencils that come included in the Essential Planner Pack to add boxes that I could check off as I completed my various tasks. I love checking things off a to-do list! Also included in the Planner Pack are 3 triangular highlighter pencils, perfect for calling attention to those extra important items or tasks still in progress. I really like that the shape of the pencils makes them comfortable to use and stops them from rolling off your desk. I had some stickers in my stash so I added those to my page as well. I traced a few more symbols onto my page to add a bit more visual interest and called it done. Gelatos, Stencils, Pitt Pens and the Essential Planner Pack brought it all together, wonky lettering and all, to give me a colorful, vibrant page that helps make tacking my to do list all the more enjoyable. Wishing you a wonderful week full of color! This month’s issue of Art Journaling features our Design Team Member Carolyn Dube and her amazing Permission to Play Journal. We are thrilled to be partnering with Stampington & Company to offer a giveaway to our fans. Be sure to enter for your chance to win one of five mixed-media art bundles! Art Journaling Summer 2017, featuring Carolyn Dube! That’s $173 worth of supplies and inspiration! Each link below has multiple ways to enter. For each step you complete, you’ll get an entry, so the more you do, the better your chances of winning! Pin the above giveaway image to your Pinterest account. Be sure to leave the Pin’s URL in the comments section below to let us know you’ve entered. Subscribe to Design Memory Craft for a chance to win. Plus, enter on Stampington’s blog and social media for even more chances to win! We’re offering 5 prize bundles and Stampington is also offering five, so you have plenty of chances to win! Winners will be randomly selected for our giveaway through the entry methods listed and contacted via email or social media direct message. Contest is open to U.S. residents only, and ends 8/11/17 at 12:00pm PST. I love creating tags to include in happy mail that I send out to friends and even just to hang in my studio for added extra inspiration. Today I'll show you how I created these vibrant and deliciously grungy tags in just a few minutes. I started by giving my tags a coat of Gesso. Once the gesso was dry I used my Gelatos Brights to randomly add color. I applied a deep blue Gelatos through a stencil for the Stencils 101 Collection and then grunged it up by lifting off some of the color with a wet baby wipe. At this point I decided that I wanted to add some dimension to my tags so I used the same stencil, but this time I applied Whipped Spackle through it, using the Palette Knife from the Gelatos Tool Set and let that dry. I rubbed that same blue Gelatos to my craft mat, misted lightly with water, and brushed it over the dried Spackle using the Stipple Brush from the Gelatos Tool Set. I set that aside to dry and started on my other tag. For this tag I used a diamond shaped stencil and applied blue Gelatos through it. To add some highlights, I also added some white. To create uniformity between the two tags, I added a few more elements to them with the other stencil, this time using purple from the Steampunk Gelatos set. Once that was done, I added a bit of perfectly imperfect penwork using Pitt Artist Pens and a Stampers Big White Pen. Now all that was left to do was to mail them out to hopefully brighten someones day! I am so honored to be able to be on the Core Design Team 2017-2018. My name is Lindsay and I blog at seeLINDSAY. I love to show how easy things are to accomplish and that you don't need a lot of tools to get a great craft or recipe. Today I am going to show you how to use the Faber-Castell® Gelatos® with their coordinating stencils. Something so easy, you'll wonder why you didn't try it before. Begin by unwrapping your stencil and choosing your design. I chose the Honeycomb stencil and I used washi tape to help adhere it to the surface before I began mixing my Gelatos. Take your whipped spackle and use a marble size amount and now just spread your Gelatos next to the spackle on your palette. The warmer your Gelatos, the easier it will spread. I mixed 3 different colors with 3 different bits of spackle. Once your color and your spackle are mixed, used your palette knife and spread it over the stencil onto your wood. When you're adhering your stencil, be sure to place it as secure as it can be so that no spackle will go under your image. Lift up your stencil and set aside to dry. Seriously, that's it. It's so simple and gives your project such great dimension. I'm excited to put these chevron arrows into my boy's room. They've been sitting in the garage for 2 years cause I wanted to do something more than just arrows. Now with my Gelatos and stencils they finally have the look I was going for. I hope you'll find inspiration in this project. Every task gets easier if you have the right tools. The Modern Lettering Kit from Faber-Castell® Design Memory Craft® is a set of four pens designed to take your hand lettering to the next level. No, it's not a miracle product - you still have to practice your writing, but you'll notice significant difference in your lettering, drawing and mark-making with the use of these India Ink pens! 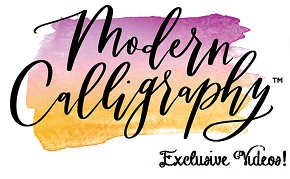 Hi everyone, Mou Saha here with a video tutorial to show you some ways to use the Modern Lettering Kit in your art journals. But before we start, here's a list of the supplies I used for my project. I hope you enjoyed the video tutorial! Hi, Belen Sotelo here, with my very first blog post as a member of the Design Memory Craft design team. Today I'd like to welcome you into my studio for some play time. I'm going to share a fun and easy art journal page that's great for artists of any level. For this journal page I used Gelatos: BRIGHTS, Gesso, a Deluxe Waterbrush, Essential Pitt Artists Pens, Pitt Big Brush pens in Dark Chrome Yellow and White, Pitt Artist Writing Pens in Blue/Green, and a palette knife from the Gelatos Tool Set and of course an art journal. I started by giving my page a quick coat of gesso. This is a step that I don't spend much time on. I'm not looking for a smooth, even coat of gesso, or even to have my entire page covered. I like the variation that you get from color floating on top of the gesso in some areas, and soaking into the paper in others. Sometimes I even use my palette knife and lift the wet gesso off the page, creating more yummy texture with the tiny peaks and valleys that this leaves behind as it dries. I cut wonky flower shapes out of some left over cardstock that I had laying around the studio, to use as masks. You can cut any shape you'd like. After placing my masks down on my page, I used my gelatos to scribble randomly around them. While I held the flower masks in place with one hand, I use my fingers on the other hand to blend the gelatos around my page. When I lifted off the flower masks, I had a rough outline of their wonky shapes left behind. I used a bright pink to define their shape a bit more. To create additional texture and movement on my page, I used a baby wipe and a scrap piece of sequin waste that I had in my craft stash. By placing the sequin scrap in random spots along my page and wiping away the gelatos through the holes, it left some fun texture behind. If you don't have any sequin scrap, you can achieve a similar effect by using a piece of acetate, or craft supply packaging and punching holes in it with your hole punch. I added just a bit of blue around some areas of the flower outline, for more definition. I used a Pitt Artist Writing Pen to make some random marks in the voids, where I wiped away the gesso. Using a medium tip Pitt Artist Pen, I doodled some flowers into the blank outlines. Then, using a brush tip Pitt Artist Pen, I doodled in the centers of each flower and made some "x" shaped marks on my page. I rubbed my Dark Chrome Yellow Big Brush Pen on my craft mat and used my water brush to paint in the flower petals. I then did the same, using a blue Gelatos. I wanted to grunge up my page a bit, before calling it finished, so I used a Pitt Artist Pen to make scribbles and scratch marks. I hope you enjoyed hanging out in my studio today. If this post has inspired you to grab your Gelatos & Pitt Pens and make some marks of your own, I hope you'll tag me on Instagram or Twitter @ArtandWhimsy or on Facebook. Hi, Diana Trout here today. I'm excited to share my first post for the Design Memory Craft design team. Let's paint flowers! For this project I used a canvas panel (6"x8"), Gelatos Brights, a Pitt Brush Pen and Texture Luxe Gold to "frame" the painting. I used the brush and water to remove some Gelatos for the stems later in the painting. It's easy to "erase" some or all of the Gelatos color using a wet brush or rag. Once you have your doodles finished, start adding the dark green close to the flower outlines. Try not to cross over the black lines but don't sweat it. I began adding the lighter lime green next. Pushing the creamy Gelatos around and away from the roses. Use either the blender that comes with the Gelatos or your fingers. Either way, make sure your "tools" stay clean as you don't want to muddy your colors later on. Just rub any media away on a scrap paper. We'll be crossing the color wheel to reds and leftover green on your tools could make some serious Mud. I added some stenciling to the background using hexagon and dot stencils , 101 Collection. I laid the stencil down and rubbed away the Gelatos® with a cloth. Vary the amount of rubbing away you do. You can use a baby wipe (or wet rag) to take the Gelatos® off completely. I pulled out pinks, yellow and orange Gelatos and filled in (roughly) the center of the flowers and the shapes that were created when the doodling was happening. I pushed the Gelatos around and did some blending. You can still see the heavy dark line under the Gelatos but it is faded back somewhat. I left some of the lines uncovered so they would be darker. I used my binder's awl to make scratches in the Gelatos; just doodly lines again. Try the non-business end of a paint brush for a thicker line. The white lines around the flowers give movement to my project. For the stems, I removed color using a wet brush. I mixed a tiny bit of green and red Gelato on palette paper for the muddy green color (sometimes mud is a good thing). I added a little bit of the color near the bottom of the flower and then gently smudging it straight down. I finished this piece by brushing Texture Luxe gold around the edges to give it a frame. Ready to hang! I think two small clear Command hooks (top and bottom) will do the trick. I hope you enjoy this project! The Gelatos are lush and smooshy and very easy to use. If you have any questions, leave them in the comments and be sure to let me know if you try this project. Watercolor Pencils Aren't Just for Water! How can Glaze create soft layers of color? By using it with Stamper's Big Brush Pens and Art Grip Aquarelles! Carolyn Dube here sharing how Glaze can play with these pens and pencils while coloring a few flowers. Start by loosely tracing over some of the lines in a design with an Art Grip Aquarelle. You can use a page from a coloring book, clip art, a stamped image, or something you've drawn. Usually, you use water with a watercolor pencil, but not here. Dip a paint brush into Glaze and then brush it over the pencil. Be sure to put the brush in water as soon as you are finished so the Glaze doesn't dry on the brush. To add another layer of translucent color, use a Stampers Big Brush and color on a piece of transparency plastic or other non absorbent surface. Then dip your paint brush in the Glaze and mix with the color on the transparency and color in more of the flower. You can see on the transparency below that each time I did this, I used a fresh or clean area of the transparency. This is because I want to avoid getting any of the wet Glaze on the pen. You can change the intensity of the color by altering how much Glaze or color you use. I primarily used the Big Brush Pens because the bigger tip goes faster than a smaller tip, but you can also use a standard size brush tip Pitt Pen. Thanks for joining me for today's play! Hi! It's Laura Bray. I love to art journal, don't you? My art journal is a place where I can try out new art techniques, collect quotes, and deal with my daily emotions. Planning with style is a huge trend at the moment. Having fun planner products make our never-ending to-do lists seem somewhat easier to tackle. Hi there, my name is Mou Saha and I want to introduce you the brand new Essential Planner Pack from Faber-Castell Design Memory Craft! You can use it with any planner system you have. It's easy to carry with you when you travel, so you can stay organized on the go. Here's a quick video to show you how I use this Essential Planner Pack.